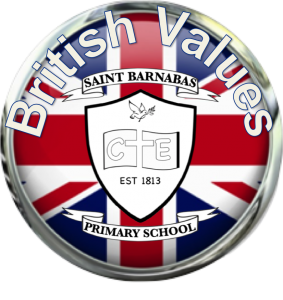 We celebrate and promote British values in all aspects of our school life. Through our curriculum, our behaviour, our attitudes and relationships with each other and our community, we strive to always uphold and demonstrate the values that we are so proud of. When you visit our school, you can see some examples of the ways we live British values by looking for our footprints! 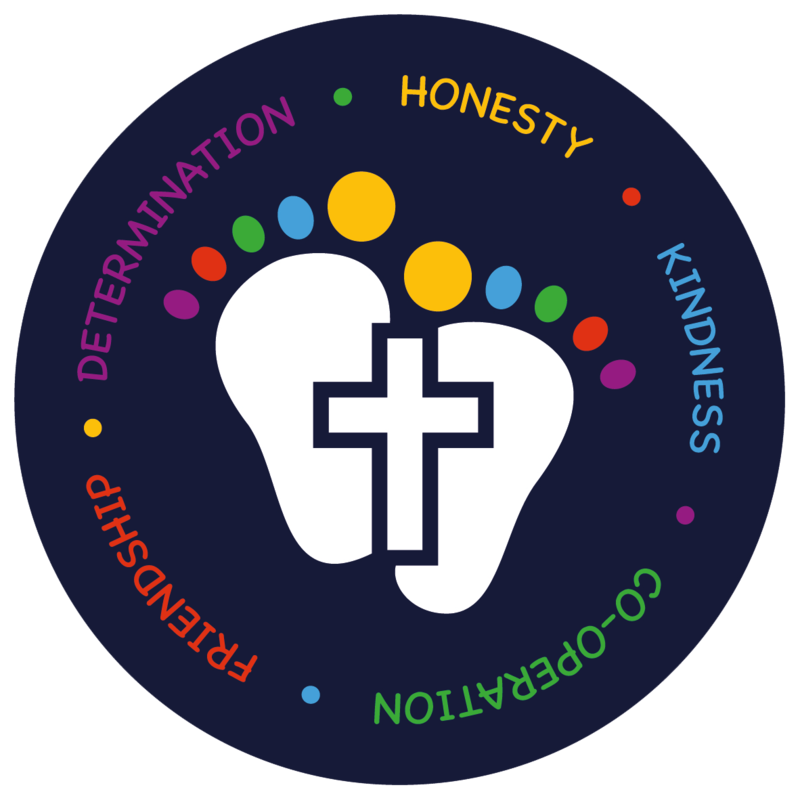 These are colourful steps we display around the school and in our classrooms that show all the different ways we are striving to live British values and Christian values; they represent Jesus’ footprints as we try hard to follow in them. Alongside our full and balanced curriculum, we know that understanding and upholding British values of Democracy, the Rule of Law, Tolerance, Freedom and Respect will help us to stay safe and happy. Click below to learn more about how we model this values at St. Barnabas Primary School.